Sometimes supporting a fallen Brother can take on a different meaning than we realize at first, because sometimes Brothers wait too long to ask for that support. Or, all too frequently, never do. Back in the Stone Age of the Interwebs when dinosaurs ruled the Earth, one of the first regular purveyors of Masonic content was Minnesota's Neil Neddermeyer. Starting in the late 1990s, his emails entitled Cinosam (spell it backwards) appeared in email inboxes every week with tips, leadership ideas, trivia, quotes and inspirations back before there were blogs or forums or much of anything else. Thanks to the Wayback Machine, you can see the archives of his mailings HERE. He created almost 300 of them. Neil went on to become a Grand Master in Minnesota in 2003-4, but eventually those regular Cinosam messages just stopped appearing. After I caught up with him again in New Mexico back in 2010, I lost track of him. Then out of the blue, he dropped me a line last month about a project he's involved with that explained the long quiet, and described what is I think is an outstanding development. Increase bonding among Brothers of the fraternity. Shore up the idea that our fraternity cares about all its members. Lets the Brothers suffering from addiction know that they are not alone. Give ideas that may help with continued sobriety success. Encourage struggling Brothers to seek help. Share experiences of those who have chosen continued sobriety with those Brothers who are seeking a pathway back to normal life. A couple of years ago I went through a profound change in my life. Alcohol had gotten the best of me and I knew that I had to quit. 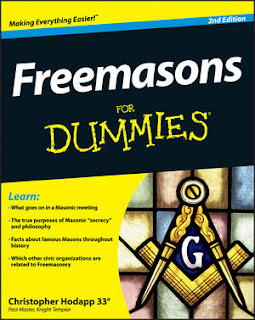 I have always been a strong Freemason, but couldn’t find any entity in the Craft that was designed to help me. What I did find, however, were many Masons in my area who had the same issues. They referred to each other as “Double Brothers” in that they were Brothers of the Craft and brothers in sobriety. Together we formed a commission that is now called ‘Masonic and Tonic’. Masonic and Tonic regularly puts out a support newsletter for Freemasons who are concerned with their own addiction or the addiction of someone they love. It offers support and understanding along with quips about the fraternity and a smile or two. “Masonic and Tonic” is not affiliated with any local and national Masonic organization because some Masons do not understand our issues. It is not a part of or associated with any twelve-step program or any other addiction support organization, because those folks do not understand the Craft. It does however, recognize the importance of what those organizations have contributed to the welfare of society. Within this website you will find referrals for those Brothers seeking treatment as well as help finding a recovery group or an addiction organization near you. You will also find support from those Brothers who may be going through the same challenges as yourself. This is exactly what Masons should be doing for each other. Every single one of us knows or has known someone who has an addictive personality and regularly imbibes too much, or for whom the demons of addiction have run away with their common sense, their judgement, and even their lives sometimes. Many of us have had them in our own families, and we've all certainly seen them within the fraternity. And sometimes it's even ourselves. It is a problem that crosses all social, cultural, economic, political, religious, sexual, and racial lines, along with every single other tribalistic category that we lump our fellow man into these days. No one is immune. And yet, no one in the fraternity has ever seemed willing to even bring it up openly, unless it was for some disciplinary action. As Freemasons, we are obligated to help, aid and assist each other; to support a fallen Brother; to even go out of our way to aid a Brother in distress. All too often, we instead sit in Masonic trials, or issue suspensions or edicts, and deliberately turn our backs on our own Brethren at the precise moment when they need us the most. MW Neil is trying to remedy that in his own way, and he should be commended for taking on the job that no one else has before. No, a lodge is not a home for wayward boys, and never has been. Freemasonry was always designed to take men who were already good ones and improve them, first internally, and then externally to the wider world, but it was never designed to be a rehabilitation clinic for men clearly unqualified for membership. But this is something quite different. Nothing can or should replace rigorous investigation of a petitioner and his reputation. But once we have done that and received him as a true Brother among us, all of us have a vested interest each others' welfare, every single day, and it is our most important duty as Masons. Sometimes we forget that part. See the Masonic and Tonic website HERE. A number of academic societies now have a Friends of Bill W. room and meetings during their conferences where those who need support for challenges can gather. We didn't realize that our friends and colleagues were struggling with such problems at our conventions, what with all the receptions and hospitality suites, and we are trying to show much more sensitivity that we did. There is a bond among Brothers (or should be...whether the two share that particular problem or not) that should put them in an ideal position to be of help to one another. 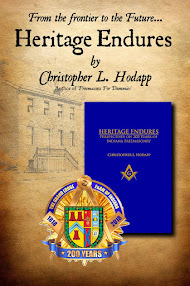 The biggest hurdle is the admission of "the problem," and one Mason knows that his "secrets" are safe with another. There is no one with whom I would be more confident of support and assistance than a Brother. What a natural avenue for our obligation to one another to take!